This page of PhotoActive Photography Courses reviews and comments lists just some of the responses from Philip Dunn’s students. 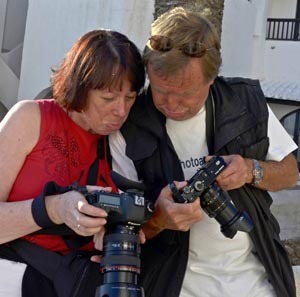 Some comments refer to the Photography Holidays we ran for 10 years in Spain, others to the Photography Weekends we did so successfully in Scotland. 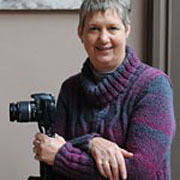 All reflect the high level of photography tuition and the enjoyment experienced. Just a brief email to say thank you very much for today’s workshop – it was thoroughly enjoyable and the weather was indeed kind to us too! Just writing to say how much I enjoyed Friday’s session, lots of very helpful information in a very relaxed and informal environment and it’s certainly got me thinking. The photo edits have also given me some good tips to take forward. …I hope to see you again on another course. I would like to thank you for a really enjoyable morning, probably the best birthday present I could have had. I learned more in that morning than I have in the last two years at camera club. I really appreciate it, haven’t stopped thinking about the light since – including at 2am this morning! …what a valuable lesson I learned yesterday, our 30 minute discussion regarding light was worth the cost of the day on its own and I haven’t stopped thinking about it since. I felt very comfortable learning from you. All in all a cracking session, and the coffee was excellent too. I have managed to reflect a little on the course, and I now find that it was even better than I said it was on Sunday. The feelgood factor has now been followed by a cold light of day assessment that I learned even more than I thought! I like your emphasis on ‘seeing’. It was an excellent mix of theory, practice and social interaction. Both you and Norene are very good hosts and set the mood very well throughout the weekend. Laura Anne felt included as well, that was a nice touch. Super, absolutely super. Thank you. Just a quick note from us both to say how much we enjoyed last weekend. We both found it very useful and great fun. I’ve offered my first photo to the paper so we will see what happens. Thank you both for making it such an enjoyable day. Paul got his pics back, but of course none of them are as good as mine!!! …thanks for the amount of knowledge you were able to give over the the course of just 2 days. Your enthusiasm, professional manner and humour made for a wonderful learning experience which I will never forget. 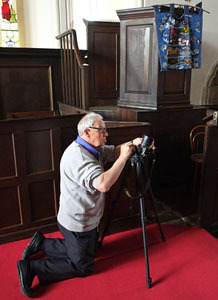 Philip’s knowledge on how to get the most out of your camera was outstanding and his ability to share that knowledge was positive and reassuring. 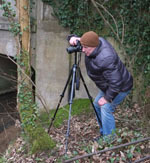 Very straightforward instruction and understanding of the basics of how the camera works and how to capture what you see to turn it into a worthwhile photograph. 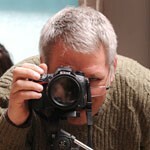 Want to see how much fun you can have on one of Philip Dunn's photography courses? 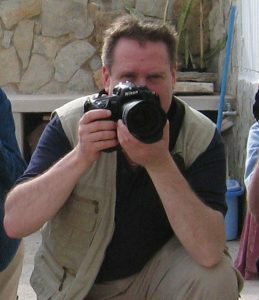 Dozens of pictures here on Philip Dunn’s Flickr account showing past photography courses and workshops. See just how much people enjoy their photography while learning how to take better pictures. 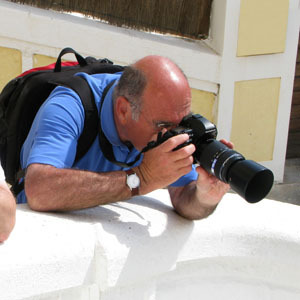 Many of these pictures are from photography holidays in Menorca and Venice. 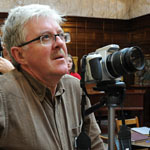 Philip Dunn now concentrates on photography courses in Shropshire. However, the fun and tuition is just the same. … The Light monkey was working overtime and is as exhausted as his owner. Thank you again for all your expertise and teaching; I thoroughly enjoyed myself. I thoroughly enjoyed myself! So much so that I went back along to the boats yesterday afternoon before I left to try them with my wide angle lens. Above all, you gave me the confidence to just go out there and do it! 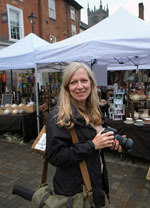 Great to meet you and Norene and thanks for a wonderful photography course. I can hardly believe how much I learned in such a short time. Above all, you gave me the confidence to just go out there and do it! I appreciate so much the two days and especially thanks to Norene for her hospitality and the delicious home-made quiche. Thanks to you I now know how to take a stunning picture with just a flat, dry river bed as a subject on a lifeless, dull, overcast day; a wide angle lens and a simple flash. Most of all Philip, I have learnt how to see. Brilliantly!! My life has changed. I just wanted to say thanks for your hospitality and patience yesterday. I really enjoyed the day and now feel full of enthusiasm to go out and have even more fun and with greater confidence and hopefully improved results. Thanks for sharing your experience & knowledge. I could not recommend the experience in more glowing terms than EXCELLENT! Even though I returned to work early this morning it did not in any way dull the buzz from the weekend. Memories of our visit with you in Kirkcudbright will last forever. Your help has switched on several main beams and made my photography even more enjoyable and I thank you sincerely for that. Your explanation of photography is so good that it resulted in several “Eureka moments” for me. 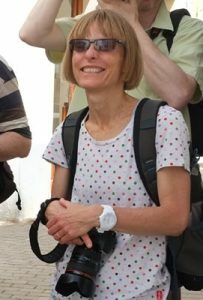 Lyn and I enjoyed the weekend enormously and I could not recommend the experience in more glowing terms than EXCELLENT! I looked forward to coming and was not disappointed. I’ve been on this photography holiday three times now and every time I come I learn something new. 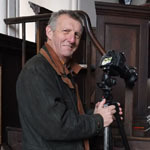 Especially this week we’ve had a super group of people and Philip has interacted with people absolutely fantastically. I’d heartily recommend anyone to come on one of Philip’s holidays. “Just a quick note to say an enormous thank you for an inspiring and very enjoyable weekend. I fully intend to be back one way or another before too long. Thanks too to Norene for her excellent organising skills. Good company, good food and great teaching!. I can see things differently now – many thanks for your most relaxed way of teaching – I was dreading the ‘school master’ kind of approach – but thank goodness that was not the way! Thanks again for a really enjoyable two days. It was a great learning experience, and you were very patient with me when I got frustrated about things! Well, Philip, you did it again! Worked your magic on a group of (almost) total strangers, so that we all had a wonderful weekend of learning and fun. Thank you!! Just to say thanks again for a wonderful day. It was great to acquire so much knowledge in such a short time. Just a quick word to say thank you for an amazing day. I learnt more in one day with you than I have reading books or instruction manuals over the last 10 months. Thanks to both of you for a great weekend. I learned a lot and hope to put it to use as soon as possible.